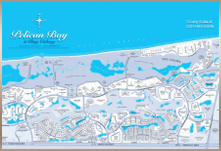 Naples, Fla. (Feb. 17, 2012) — Pending home sales of Naples area mid-priced single-family homes and condos (between $300,000 and $ 1 million) surged 29 percent in January 2012, according to a report released by the Naples Area Board of REALTORS® (NABOR®) which tracks home listings and sales within Collier County (excluding Marco Island). Naples Area Board of REALTORS® data shows that the overall market experienced 8,295 closed sales for the 12 months ending January 2012, a 5 percent increase over the 12-month period ending January 2011 (7,879 closed sales). “The number of recent building projects indicates the belief, from many builders, that the market has turned the corner on new home construction,” stated Brett Brown, Director of Sales at Fiddler’s Creek Realty, Inc.
• Overall pending sales in the $300,000 to $500,000 category increased 34 percent from 115 in January 2011 to 154 in January 2012. • Closed sales in the $1 million to $2 million category increased 13 percent from 336 to 379 for the 12- month period ending January 2012. • Inventory dropped 19 percent from 9,388 in January 2011 and remains at a low level with 7,860 available properties in January 2012. • Average days on the market (DOM) in the $500,000 to $1 million category decreased 10 percent from 213 in January 2011 to 192 in January 2012. • Overall sales of homes and condos between $1million and $2 million increased 53 percent, January 2012 compared to January 2011. “The $500,000 to $1 million category has been historically a leading market indicator, and that category experienced a 23 percent rise in pending sales from 100 in January 2011 to 123 in January 2012, a positive sign,” remarked Dr. Shelton Weeks, Director of the Lucas Institute for Real Estate Development & Finance at Florida Gulf Coast University. “We are now seeing multiple buyers competing for the same property,” said Brenda Fioretti, NABOR® Media Relations Committee Chairman and Managing Broker of Prudential Florida Realty. The Naples Area Board of REALTORS® (NABOR) is an established organization (Chartered 1949) whose members have a positive and progressive impact on the Naples community. NABOR® is a local board of REALTORS® and real estate professionals with a legacy of nearly 60 years serving 4,000 plus member-customers. 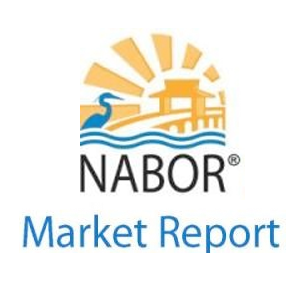 NABOR is a member of the Florida REALTORS® and the National Association of REALTORS®, which is the largest trade association in the United States with more than 1.3 million members and over 1,400 local boards of REALTORS® nationwide. NABOR® is structured to provide programs and services to its membership through various committees and the NABOR® Board of Directors, all of whose members are non-paid volunteers.